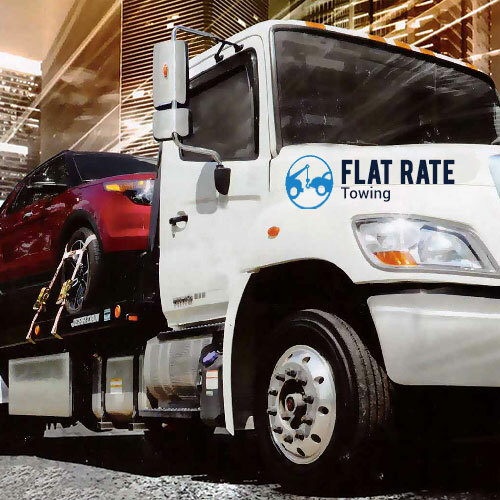 If you are looking for a reputable towing company that is dedicated to your satisfaction then why not give us a call and let us know how we can be of service to you. 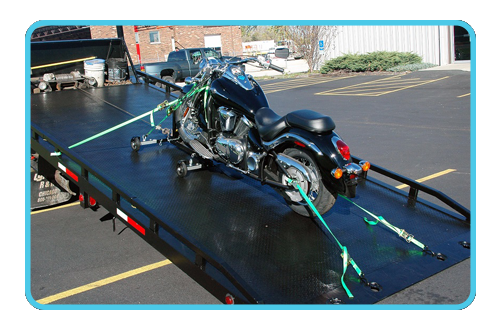 If you own a motorcycle, sports bike or scooter that needs to be towed to a service station or to another location, you don't want to hire just any towing service to perform this task, as towing a motorcycle requires the use of special equipment to ensure that your motorcycle, sports bike, or scooter arrives at its intended destination. Brackets to hold your bike firmly in place as well a bar harness for sports bikes. Various sized soft straps to firmly tie down your bike without causing any scrapes or scratches to your motorcycles finish. 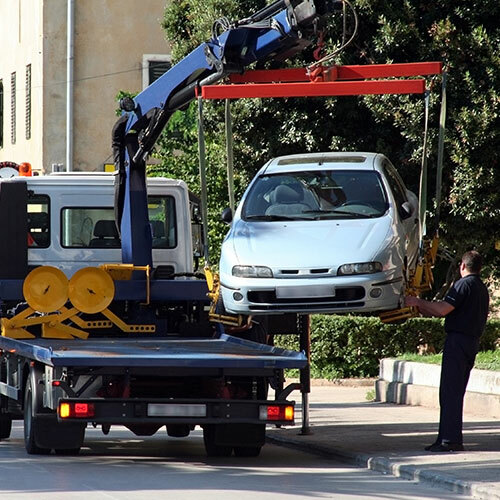 We provide 24 hour towing services 7 days a week. 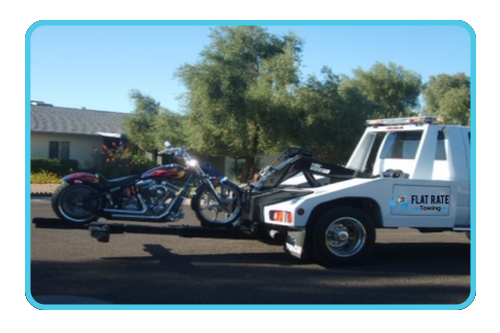 Should your motorcycle break down on the highway, or be involved in and accident and you need to have it towed to a repair shop we will do that for regardless of the time of day or night. 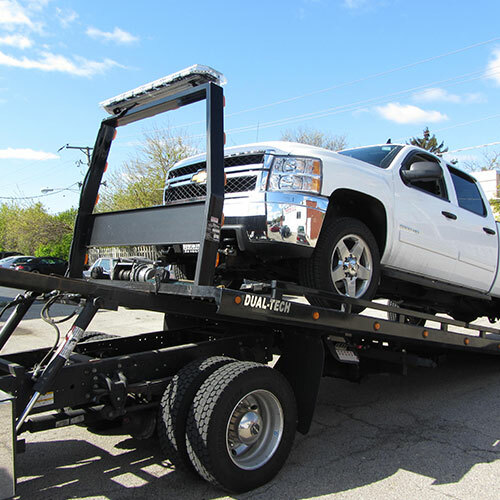 We have operators standing by 24/7 ready and waiting to take your call and send one of our professional and licensed tow truck technicians to your location immediately. With several different locations throughout San Jose and the surrounding areas it will only take us a few minutes to arrive at your location with all the necessary equipment needed to tow your motorcycle or scooter to your required destination. 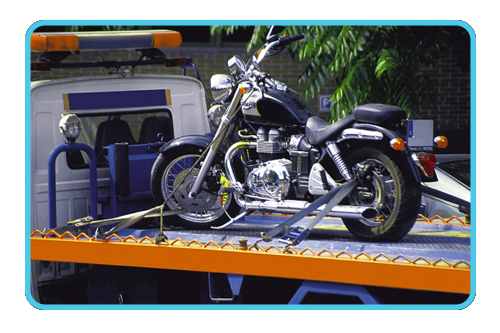 If you have purchased the motorcycle of your dreams while visiting the San Jose area or your motorcycle breaks down or is involved in accident while visiting our area and you want to have it towed to your home location some distance away, you can rest assured that we provide long distance towing services at highly competitive rates. A simple call to our office, and you can arrange to have your motorcycle transported to the location of your choice at time that is convenient for you. 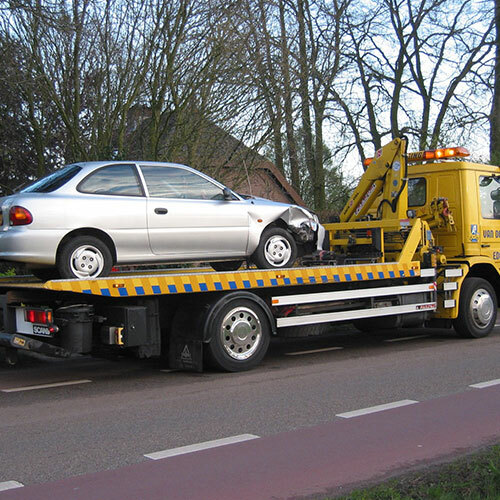 If you are looking for a reputable towing company that is dedicated to your satisfaction then why not give us a call at 1-408-471-9989 and let us know how we can be of service to you. Should you run out of gas along one of the many San Jose area roads or highways just give us a call at 1-408-471-9989 and we will be happy to bring you gas so that you can be on your way.